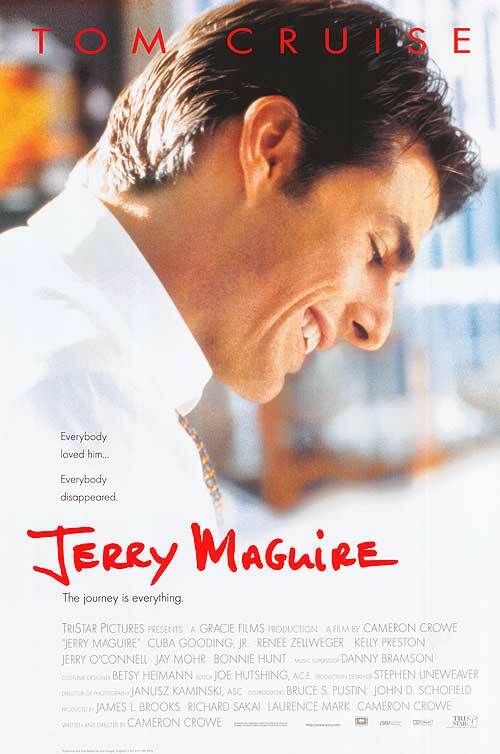 DVD Shrine is reporting that the Special Edition Jerry Maguire DVD (produced by JM Kenny) will be released on December 4th. No details have been announced. This makes sense and would coincide with the release of the Almost Famous: Untitled – The Bootleg Cut. More info as soon as its announced. As promised, here’s the deleted scenes from the Jerry Maguire script. They include “Tidwell Meets Cush”, “The Two-Headed Corn Snake” and “Karaoke/Jerry Returns Home”. It will be interesting to see if any of these show up on the Jerry Maguire Special Edition DVD. Almost Famous DVD – Bootleg Director’s Cut! Vanilla Sky Score – McCready Pitches In?